Some of the many purple jacketed volunteers who worked during the more than two months of the 2015 Shroud of Turin Exposition. Click on the image to access a large version (2592×1936 pixels) of this image on the official Diocese of Turin sindone.org website. I will certainly be accused of going off-topic. Okay. Yes. But. And then again, I can do it anyway. It is interesting. Many times when I read or hear something profound about the Eucharist, I am reminded of Frank Tipler’s book, The Physics of Christianity. This is one of those times. So, if you can humor me for a bit I’ll try to redeem myself. On Saturday, the Episcopal Church in the United States elected a new Presiding Bishop (In most other places in the Anglican Communion we would call him an Archbishop). The Right Rev. 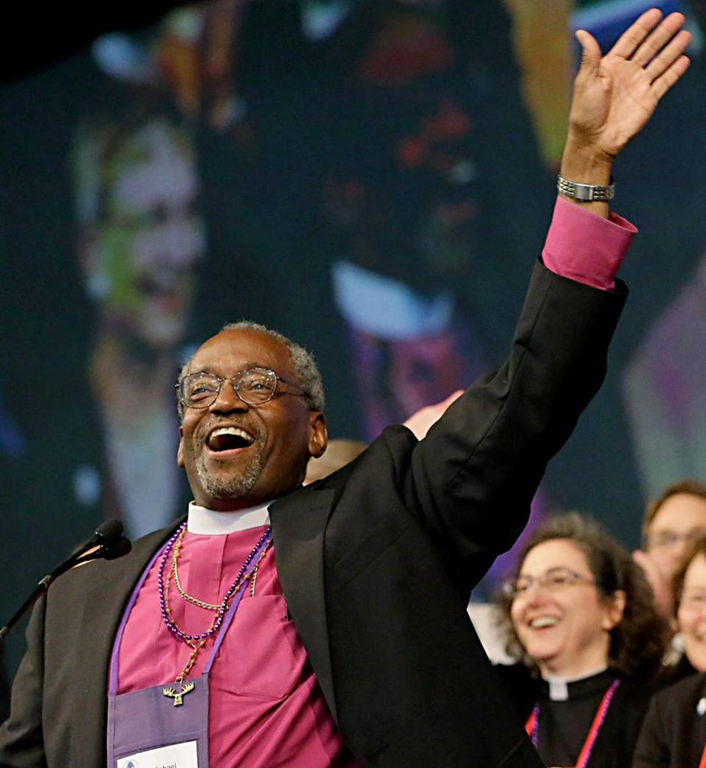 Michael Curry, the 62-year-old Bishop of North Carolina, was overwhelmingly elected by the Church’s General Convention in a single ballot in the House of Bishops. Curry, who is African American, received 121 votes out of 174 cast. The House of Deputies consisting of priests and laypersons approved the election 800-12. Read Episcopal News Service account of the election. Scanning for material about him I found this video. It touched me. On to Frank Tipler’s book, The Physics of Christianity. Tipler wanted to test a consecrated host to see if two molecules, once separated, say by the breaking of the bread, maintained quantum coherence – the spin of electrons. Why this would happen with consecrated bread was something Tipler maintained was characteristic of the Second Hypostasis of the Triune Singularity that was God. Tipler wanted to scientifically determine who was right, Anglicans (Episcopalians) or Catholics. Yes, he actually wrote that in his book.
. . . I regard that book as one of the most remarkable books about Christianity that I have ever read. In fact, the book is so remarkable that I have decided, at the risk of my reputation as a reliable curmudgeon, who can always be counted on to tell you what is wrong . . . to tell you instead about some of the things which this amazing book shows are inescapably correct about traditional Christian belief. . . .
Frank Tipler, a Tulane University professor of mathematical physics does propose an interesting idea. He argues Christian doctrine is an expression of all cosmological reality as it can be described by modern physics: God is a triune singularity. The second hypostasis of this singularity entered history in our universe, and indeed in other universes of the multiverse, as God incarnate in Jesus for the sake of mankind. The miracles attributed to Jesus and other most other historical miracles are not violations of nature and are scientifically possible, even plausible. Two miracles in particular, the incarnation and resurrection, are indeed scientifically possible and, as Tipler sees it, essential for immortality. Indeed, the cosmological picture Tipler paints with the laws of nature is consistent with orthodox Christianity as expressed in the Nicene Creed. At the same time, however, his hypothesis seems amazingly discordant with a Christianity grounded in history and faith. Tipler, as you might have imagined, is not some self-acclaimed, navel-gazing, self-published guru. His previous book, The Physics of Immortality, received considerable attention. “A thrilling ride to the far edges of modern physics,” wrote the New York Time Book Review. “A dazzling exercise in scientific speculation, as rigorously argued as it is boldly conceived,” said the Wall Street Journal. Science, the prestigious, peer-reviewed academic journal of the American Association for the Advancement of Science wrote, “Tipler has written a masterpiece conferring much-craved scientific respectability on what we have always wanted to believe.” It remains to be seen if this sequel will get the same attention. Yes, but. As an orthodox Christian, who like Tipler, has no issues with the theory of evolution or a universe that is thirteen-some billion years old or is but one of a seemingly endless number of universes, I found myself scoffing at Tipler’s assertions. It is important to remember that physical cosmology, like biblical exegesis and theology is controversial and unfinished. Even from certain facts and generally accepted theories, cosmologists, astronomers and theoretical physicists arrive at many different conclusions about the nature of reality. Tipler’s thesis is but one of many, something he does recognize. He simply dismisses all others out of hand by declaring everyone else wrongheaded. The theological perspectives Tipler offers on miracles, the virgin birth, the incarnation and the resurrection are worth reading. The scientific explanations offered along with the theology are interesting so long as it is well understood that they are only possibilities. He speculates far too much. Some topics are weak. His characterization of the difference of opinion on the real presence of Christ in the consecrated bread and wine of communion between the Roman Catholic Church and the Anglican Church is naïve. It is based on a smattering of mostly old documents, long since revised and amended. He quotes from the Thirty-nine Articles of Religion of the Church of England, circa 1571, that states that transubstantiation is a “blasphemous fable” and a “dangerous deceit” and ignores the wide spectrum of contemporary opinion held be Catholics and Anglicans. Many Anglicans do in fact believe in transubstantiation. I do. Most of his defense of transubstantiation is biblical. His interpretation from physics is just as easily an argument for a more Protestant view: consubstantiation. Tipler’s discussion of the Shroud of Turin is worth the price of the book. Tipler clearly thinks the Shroud is genuine. So do I. But, I am far from being convinced that the so far unexplained images are the product of sphaleron quantum tunneling. Some details, particularly the proposed history of the cloth between 1204 and 1356 CE is fiercely debated among shroud researchers. Some of the scientific claims he makes lack sufficient rigorous confirmation; they should not be used to support authenticity at this time. Overall, however, Tipler presents a well-reasoned argument for authenticity. Tipler’s scenario for the Resurrection is interesting. Jesus, he argues, may have dematerialized through a physical process known as baryon annihilation via electroweak sphaleron tunneling. By baryongenesis (what happened after the Big Bang) Jesus then rematerialized so that his followers would know he had been resurrected. Is there in this a purpose to the incarnation? Yes. Jesus, Tipler contends, entered history inside of our space-time to show us how to achieve immortality. It is with mankind’s technology that immortality will be achieved. Not only will all people, past and present, gain immortality, according to Tipler, but that mankind will save the universe. To do so, mankind must populate the universe to its very edge. And he must construct computers and software powerful enough to emulate the mind, consciousness and soul of everyone. Mankind can only accomplish this task by figuring out how to annihilate baryon particles (protons and neutrons are two examples of baryon particles formed by quarks). This process would provide the unlimited source of energy required for conquering the outer limits of space. By annihilating the right quantity of baryon from everywhere throughout the universe, the expansion of the universe will be halted, something which is necessary if the universe is to survive and necessary for the futurist computers of immortality to exist in space-time. But in figuring out how to annihilate baryon particles, mankind will also then know how to build the bombs (much more powerful than conventional nuclear weapons) that will inevitably lead to the destruction of the world. So what role does Jesus have in all this? Tipler speculates that Jesus left his image on the Shroud of Turin as a clue to enable us to figure out the process of baryon annihilation. Now. Did I justify showing that video? Did I redeem myself? Of course not. It was a good try, though. Your thoughts on the Eucharist or Tipler are welcome. CONVENTION IV CES. " THE CANVAS OF CHRIST : Passion, History, Art and Science "
Is the Shroud Really the Most Studied Whatever in History? 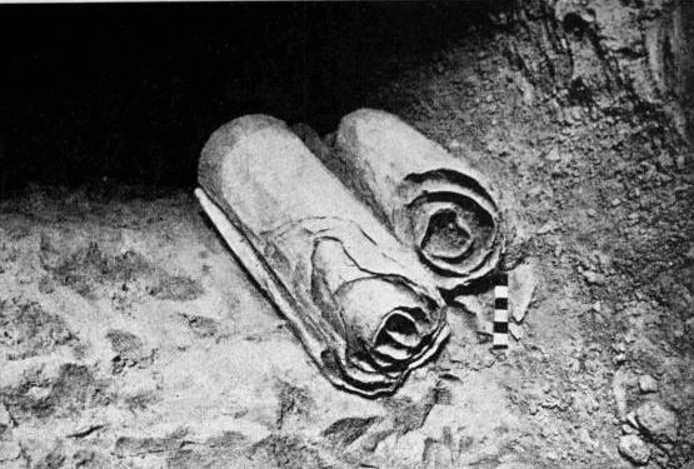 … We often seem to read this but there has been actually a great deal more intensive research directly on the fabric and images ( writings,inks,etc,) of the Dead Sea Scrolls than of the Shroud and it has been undertaken by top- level specialists in the relative disciplines. As the recent report on the Scrolls in Minerva, the international journal of art and archaeology, noted’ no other set of documents has been subjected to so many analytical techniques’. The main difference ,of course, is that the Scrolls, after a poor start, have been open to direct specialist examination with increasingly sophisticated equipment. I would certainly argue that we have learned more from the Scrolls than we have from the Shroud. And, if I remember correctly, Bill Meacham once told me that he thought that Ötzi, the Hauslabjoch Iceman Mummy – was it that or something else – may be the most studied historical artifact. Okay, point taken. But then again, the Dead Sea Scrolls and Ötzi are not exactly relics if we insist on being precise. But then again we often hear that the shroud is the most studied artifact in history and maybe that isn’t so. Barrie Schwortz has updated the remaining portion of his lecture schedule for this year. July 8 through July 13, 2015 – My dear friend Dr. Chuck Dietzen has invited me back to Indianapolis, Indiana to participate in another series of Shroud lectures he is planning for this summer. Chuck sponsored my first visit to the area in 2011 and participated in my 2013 lecture series there as well. Now, he is organizing a "return engagement" in which I hope to visit with a number of Indiana-based Shroud scholars. In addition to Chuck and his colleague, Dr. Joe Bergeron, who both lecture on the medical aspects of the Shroud, other Shroud scholars in the area include Richard Orareo, founder of the National Shrine of the Holy Shroud in Wabash, Indiana, Shroud historian Prof. Dan Scavone and his wife Carolyn from Evansville, Indiana and Alex Fiato, Shroud researcher and lecturer from Ft. Wayne, Indiana. My scheduled lectures include: July 9 – A visit to the Poor Clare Monasteryin Kokomo at 10:00 am, a lecture at the Logansport Juvenile Intake Center at 1:30 pm, and Dinner at Alex Fiato’s Italian Connection in Ft. Wayne. July 11 – A lecture at St. Francis Hospital auditorium (south of Indianapolis) 9:00 am – 12:00 noon. July 12 – A lecture at the Retreat Center of Sisters of St. Francis auditorium, 5:00 pm – 8:00 pm in Oldenburg. September 6 through September 12, 2015 – Publisher William Lauto and his wife, Professor Belenna M. Lauto, Interim Chair of the Department of Art and Design, have organized another "return engagment" for me at St. John’s University in Queens, New York. My single lecture in 2014 was such a success that they decided I should come back and give several lectures in 2015. Last year, Professor Lauto organized and produced an exhibit of a large selection of my photographs from the 1978 STURP examination and I also met informally with students from the photography and art departments. The specific venues, dates and times have yet to be determined for this year’s lectures but last year’s event was held in the Little Theater building on campus. We’ll provide more information as soon as it becomes available. September 24 through September 30, 2015 – Our good friend and supporter John Sickelton has once again organized a series of lectures in Washington state like the successful series we did in 2013 and 2014. Postponed until 2016. October 7 through October 9, 2015 – I will be speaking in Orange County, California to the Orange Canyons Chapter of Legatus, a private Catholic businessman’s organization, at their meeting on Thursday evening, October 8, 2015. FIRST from Colin Berry’s blog posting That Man on the Turin Shroud: the mystery may finally be solved – at least in principle. The image of hands crossed at the wrists was experimentally produced by Colin. Let’s stop beating about the bush shall we ? The image of the man on the Turin Shroud is an imprint (not a painting as Charles Freeman would have us believe), I repeat, an IMPRINT. It’s a contact imprint, to be more precise (no physical contact, no image)…. This posting focuses on just one feature of the Shroud image which is consistent with the view that the image is a contact imprint. I then make what some will see as a bald assertion, namely that if it’s possible to reproduce the ‘look’ of that image, with its imprint features, then it almost certainly IS an imprint. The onus would then be on others who think otherwise, who have their own hypotheses, or as often or not fantasies as to how the image was produced, to do what I (with some assistance from my wife) have done this morning, namely to model their ideas experimentally. If they cannot, or will not do that, then their ideas are unscientific, and need detain this scientist no further. 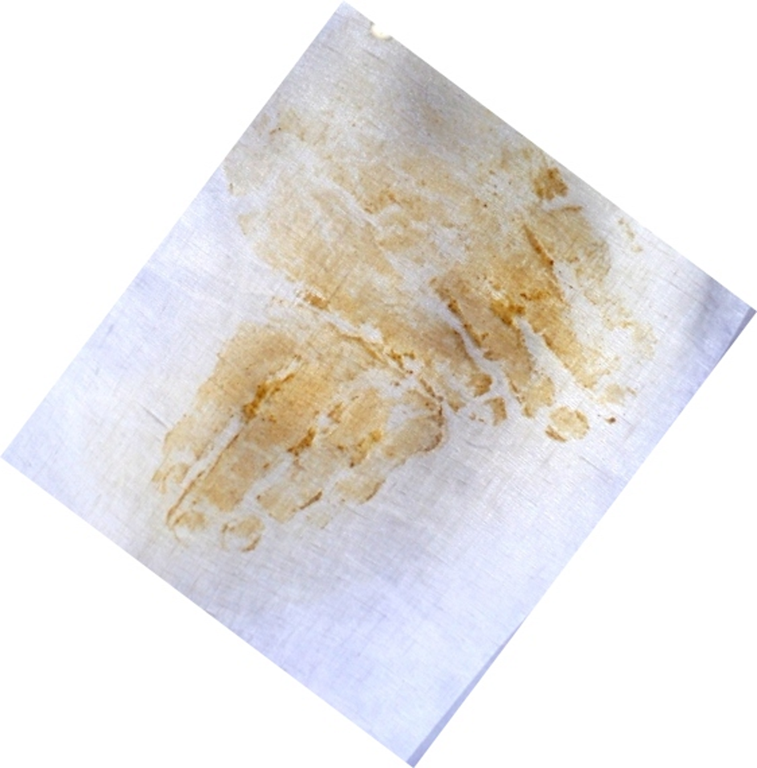 … I say the Turin shroud is a medieval fake, produced by a simple two stage procedure: imprinting with an organic substance (which may well have been white flour, which has convenient adhesive properties)followed by second stage colour development (thermal in this posting, though chemical development is also feasible – see previous postings which used nitric acid or limewater). … this blogger did not set out with the intention of disproving the Shroud’s authenticity (or proving its non-authenticity). There was no need for that, given he accepts the radiocarbon dating, warts ‘n’ all, and feeling the onus is on those who reject it to press for re-testing. No, his research, starting December 2011, was a response to Paolo Di Lazzaro and others who claimed that the TS image characteristics, notably superficiality, could or would never be reproduced in a laboratory. If the model were that simplistic, this retired researcher, who also has a record of research and modest achievement, would not have needed 3.5 years to conceive of it. The trouble with arriving late to an active area of research is the deadweight of ‘received wisdom’ that in many instances has hardened into rock-solid dogma. It’s hard not to be influenced by the big cheeses of Shroudology who descend onto websites to say one is barking up the wrong tree, that such and such was discounted decades ago, that one should "go acquaint oneself with the literature". In fact the current model incorporates many existing ideas – from Ray Rogers, Luigi Garlaschelli, Hugh Farey and Joe Accetta. But the key aspect was the realization that the body imprint was intended to represent ancient yellowed sweat, that it was not intended to represent a product of post-mortem putrefaction, nor a miraculous image imprinted by a flash of highly energetic radiation, of a type unknown to science, a signature of resurrection, or as some would have us believe, a love-letter to modern man (that being the case, why the ‘wrong’ answer for radiocarbon dating?). … There is no evidence that Jesus’ resurrection was a nuclear event, that produced a neutron flux. 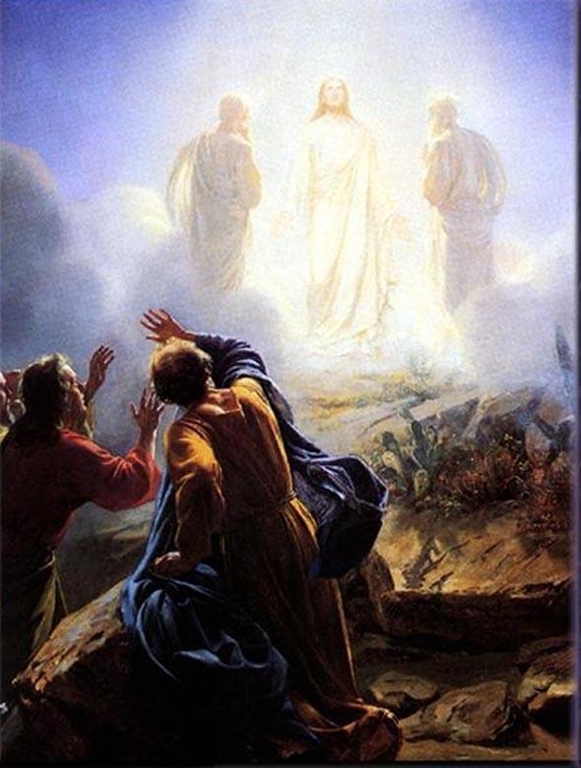 There is, however evidence, in The Transfiguration (Mt 17:1-2; Mk 9:2-3; Lk 9:28-29), where Jesus’ "face shone like the sun, and his clothes became white as light," "his clothes became radiant, intensely white, as no one on earth could bleach them," that Jesus’ resurrection (implied by Lk 9:30-31 where during The Transfiguration "Moses and Elijah … appeared in glory and spoke of his [Jesus’] departure [Gk. exodus] which he was about to accomplish at Jerusalem") produced intense light which imprinted His image on the Shroud….ENEA, using "the scientific method," effectively demonstrated that "a miracle" occurred in the imprinting of the image of a "whole human figure," front and back, on the linen of the Shroud! And since the evidence is overwhelming that the Shroud man is Jesus, ENEA, effectively demonstrated, by "the scientific method," the miracle of the Resurrection of Christ! … 1) the overwhelming weight of the evidence is that the Shroud is authentic, i.e. 1st century; 2) the probability of the Shroud being 1st century, yet having a radiocarbon date of 13th/14th century is "about one in a thousand trillion’"; 3) the 1260-1390 radiocarbon date must be the result of some type of fraud; 4) a form of fraud that was rife in the 1980s was computer hacking; and 5) there is much evidence that the radiocarbon dating laboratories were duped by a computer hacker, allegedly Arizona physicist, Timothy W. Linick…. "An initial inspection of Table 2 shows that the agreement among the three laboratories for samples 2, 3 and 4 [non-Shroud controls] is exceptionally good. The spread of the measurements for sample 1 [the Shroud] is somewhat greater than would be expected from the errors quoted." But this is impossible given that the Shroud and control samples at each laboratory were all on the one ~26 cm (~1 inch) diameter carousel wheel and rotated through the one caesium ion beam within minutes of each other. If there was something technically wrong with the dating process at a laboratory, the controls and Shroud samples at that laboratory would wrongly agree and disagree with the controls and Shroud samples of the other two laboratories. But that the agreement across the three laboratories in the dates of the non-Shroud control samples was "exceptionally good" shows that there was nothing technically wrong with the dating itself, which must mean that the Shroud samples’ dates were not real but computer-generated. Koch is not essential to my theory that the radiocarbon dating laboratories were duped by a computer hacker, as Linick could have acted alone. But that both Linick and Koch (who need not have known each other) were involved in hacking the Shroud’s radiocarbon date for the KGB is supported by the fact that Linick died of "suicide in mysterious circumstances" on 4 June 1989 and Koch’s inexplicably burnt body which was made to look like suicide, had been publicly identified by the German police only a day earlier on 3 June 1989! Is there some way to put these two in a room together and tell them they can’t come out until they agree on everything. This is an update to a May 8th posting. A more comprehensive Table of Contents is now available at Google Books. The hardcover version is now shipping at Amazon. The price has been reduced from $79.95 to $75.23. A Kindle version has been announced. It will be available for download on July 7, 2015. The price for the Kindle edition is $71.47. Google is selling an ebook version for $63.96. It is available now. Short editorial reviews by Robert W. Siefker, Mark Oxley, Mark Antonacci, Petrus Soons and Cèsar Barta are now included on the Amazon website. 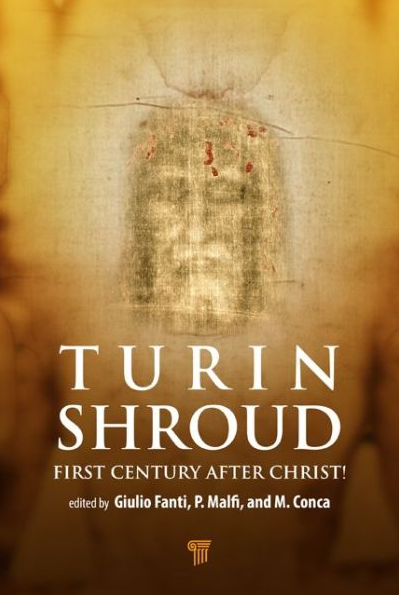 Turin Shroud: First Century after Christ by Giulio Fanti and Pierandrea Malfi is now shipping for delivery on June 30th. The price for this 500 page, hardcover book is $75.23. A Kindle edition has been announced. It will be available for download on July 7th. The price for the Kindle edition is $71.47. The Turin Shroud is the most important and studied relic in the world. Many papers on it have recently appeared in important scientific journals. Scientific studies on the relic until today fail to provide conclusive answers about the identity of the enveloped man and the dynamics regarding the image formation impressed therein. This book not only addresses these issues in a scientific and objective manner but also leads the reader through new search paths. It summarizes the results in a simple manner for the reader to comprehend easily. Many books on the theme have been already published, but none of them contains such a quantity of scientific news and reports. The most important of them is the following: the result of the 1988 radiocarbon dating is statistically wrong and other three new dating methods demonstrate that the Shroud has an age compatible with the epoch in which Jesus Christ lived in Palestine. A numismatic analysis performed on Byzantine gold coins confirms this result. This book is, therefore, very important with respect to the Turin Shroud. It is unique in its genre and a very useful tool for those who want to study the subject deeply. 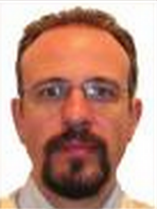 Giulio Fanti is associate professor of mechanical and thermal measurements at the Department of Industrial Engineering, University of Padua, Italy. After gaining experience in spatial structures, and also in tethered satellites and image analysis, he has directed since 1997 his interest to the Shroud to fill some gaps, especially with reference to the body image impressed in it, which is still scientifically inexplicable. He was responsible for a university research project concerning the most important relic of Christianity and has headed for more than 10 years the Shroud Science Group, a group of about 140 scientists dedicated to study of the relic. 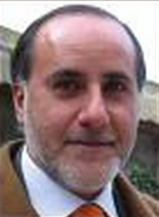 He has published more than 170 scientific works in international journals. He has authored 8 books and more than 50 scientific works on the Shroud. Pierandrea Malfi holds a master’s degree with honors in mechanical engineering from the University of Padua. His thesis was based on the mechanical dating of textile fibers, whose results have also been published in scientific journals. He has set up and computerized the Antonio Maria Traversi Physics Museum of Marco Foscarini High School in Venice, Italy, of which he has been scientific curator for more than 10 years. "This is one of the books John [Jackson] may have had in mind for publication after hundreds of man-years of collective research even two thousand years after the death of Jesus. It is unique in the depth of material covered that supports dating the Shroud progressively back to the first century. It is an outstanding contribution to Shroud studies." "Prof. Fanti’s new book is a major new work in the field of literature on the Shroud. It is of great value as it provides the details and results of very interesting new research for which Fanti has been responsible. It is an essential addition to any library or collection of written work on the Shroud of Turin." "After decades of dedicated research, Dr. Fanti and his colleagues have developed a new scientific method to date ancient linen, whose result is consistent with the extensive scientific and medical evidence derived from the unique Shroud of Turin. Fanti’s result is also completely different from the Shroud’s medieval C-14 dating, constituting the first direct scientific challenge to the dating of this famous cloth." "The chapter on numismatic investigation is very interesting because it gives a very clear indication that the Shroud existed before the period between 1260 and 1390 AD, established by the radiocarbon dating tests. The book is highly recommended." "Fanti, for first time, experimentally proves that the threads of the Shroud can be 2000 years old. This book is a good opportunity to be updated on the knowledge of the Holy Shroud." This abbreviated Table of Contents is not included on the Amazon site. It was furnished by an anonymous reader of this blog. A more comprehensive Table of Contents is now available at Google Books.